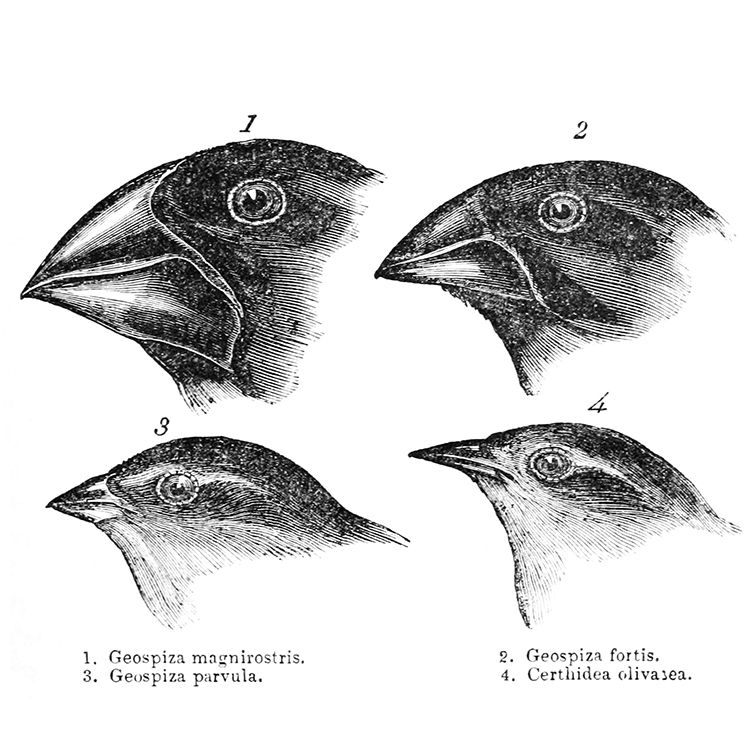 The categorization of organisms into species, like Darwin's finches (above), has generated contentious debates in the biology community. Now, a SEAS researcher asks if there's a better way. Even Charles Darwin, the author of “The Origin of Species”, had a problem with species. “I was much struck how entirely vague and arbitrary is the distinction between species and varieties,” Darwin wrote in his seminal 1859 work. Categorizing species can get especially hazy at small, microbial scales. After all, the classical definition of species as interbreeding individuals with sexually viable offspring doesn’t apply to asexual organisms. Examining shared DNA doesn’t help either: collectively, E. Coli bacteria have only 20 percent of genes in common. The classification process gets even trickier as many microbes work so closely that it is unclear what to call separate organisms, let alone separate species. The woes of classification generate contentious debates in the biology community. But, for postdoctoral fellow Mikhail Tikhonov, one field’s contentious debate is another’s theoretical playground. In new research, he asks: Could organism interactions be described without mentioning species at all? "Theoretical physics is really good at using math to go beyond what seems intuitive." In a paper published in Physics Review E, Tikhonov outlines a framework for rethinking the language of species classification. Classical models of biology start from the assumption that the differences between species are, for the most part, clearly defined, and that the cases where the differences aren’t as clear can be settled later. This question is not only interesting on a theoretical level, but could have real-world implications in understanding and treating human disease. While some diseases (like pneumonia or meningitis) have specific culprits, many others (like obesity or type II diabetes) seem to be associated to a community-level dysfunction of our microbiome – the highly diverse bacterial communities that live on and inside our bodies. To understand these diseases, researchers must understand how the system works as a whole. Clustering organisms into discrete species is often problematic (b). Rather than describing the natural world as a deviation from a perfectly clustered case (a), this work proposes a theoretical construct where structure can be gradually added to a fully disordered ecology without species (c). There is still a long way to go, but theoretical physics and applied math may play a role in settling this long-standing biological debate. In some ways, the microbial life is like the quantum world of particle physics: neither is directly accessible to our senses and so neither has to conform to the intuition derived from our day-to-day experiences. When intuition fails, math shows the way. “It’s hard to grasp how, in quantum mechanics, a particle can be both a singular entity and a spread-out wave. The bacterial world has no reasons to be any less surprising,” said Tikhonov.